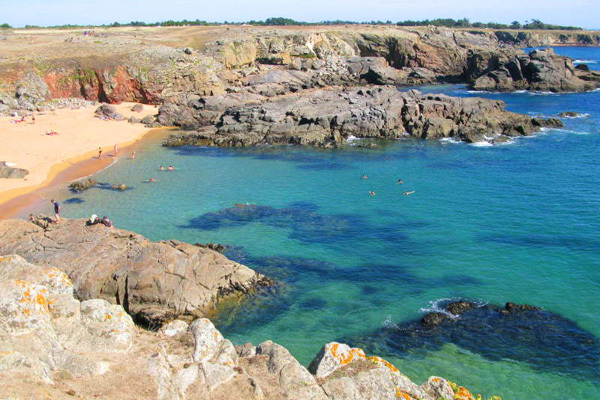 There are some beautiful little islands to explore off the Western coast of France. A passenger ferry takes you the short distance from the mainland, then hire a bike when you get there to explore their sandy beaches, quaint harbours and wildlife. On some islands, its like rolling back the years to a truly relaxed way of life and with nature at its best. Houat. 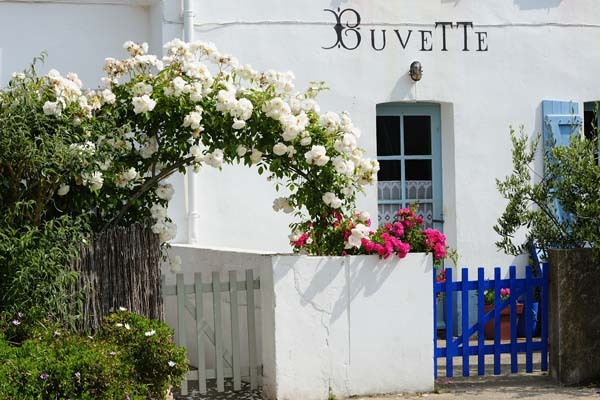 Visitors come here for the calm of its fishing port, the quite village of Houat (there is only one village) with its pretty whitewashed cottages overlooking the harbourg, and its scenic beauty – ideal for walkers. Houat is only 5km by 1km. There is a ferry from Quiberon out to Houat. 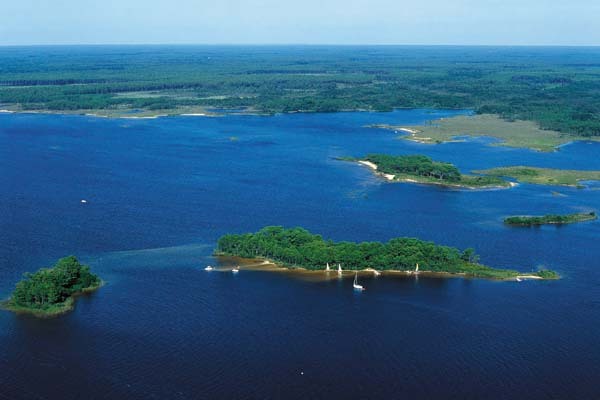 This is an immense bay dotted with numerous islands. On a sunny day it is stunning and in the evenings it glows with twinkling lights. Do find time to visit, take a boat trip round the bay and in between the islands or take a ferry to visit one or more of the islands – they are so close to each other you could visit several. A visit here on a sunny day will be remembered until you next return to this haven of peace. 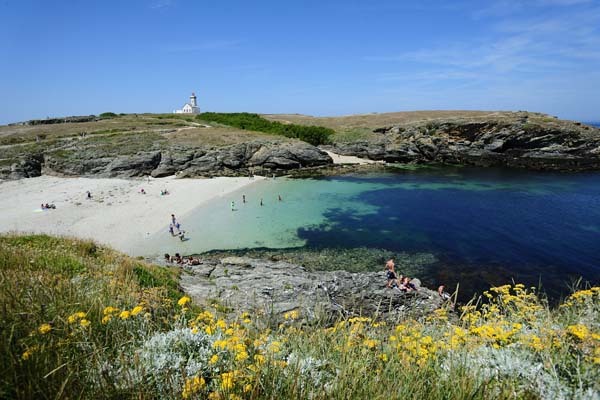 The island of Yeu, which became a permanent island around 5000 BC, is just 14 miles has long sandy beaches and dunes; as well as a wild coast headlined with cliffs. The peaceful countryside has picturesque houses with low tiled roofs and colourful shutters. Once a major tuna fishing port of the Atlantic coast, the island has still a very active fishing community. Catches are varied : sea bass, monk fish, hake, sole, turbot, sea bream and others, not forgetting different kinds of shellfish. Getting There: By passenger ferry from St. Gilles Criux de Vie pr Fromentine. This is a very popular Ile to explore, and it is easy to reach. Access (either by car or bike) is by a bridge from La Barre de Monts on the mainland which is just beyond St. Jean de Monts. The Beaches are glorious stretches of sand, - unspoilt bliss. There are so many beaches to choose from that regular visitors always have their favourite.